Residential Garage Doors, Charlotte | Doors by Nalley, Inc.
We install, repair, and provide routine maintenance for residential garage doors in Charlotte, NC and surrounding areas. Residential Garage Doors in Charlotte – Come to Doors by Nalley, Inc. for residential garage doors that perform and impress. We have been in the business for over 20 years and know how to deliver excellent results. Quality- There’s a reason our motto is “Your Door To Quality.” By choosing us, you are choosing excellence. We provide superior products, materials, and workmanship in every job. 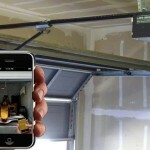 Think of us as your one-stop shop for everything related to garage doors. Some of our offerings for residential garage doors include top-of-the-line materials (steel & wood), parts, and garage door openers. We offer both belt and chain-driven garage door openers to fit your needs and your budget. Our garage doors have the latest technology available; some offer features such as back-up battery power and the ability to connect to your smartphone for easy control access. Service- Customer satisfaction is one of our top priorities. We work with you to make sure we are providing the service you requested and that your expectations are met. 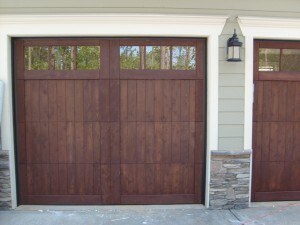 Our technicians are highly skilled and experienced with garage door installation, repair, and maintenance. 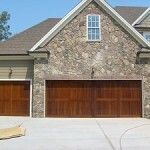 Custom Design- We offer our customers the option of creating custom residential garage doors. These can add elegance and flare to your home by giving life to the dream you have. You will be heavily involved in the custom design experience. 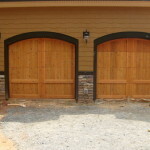 If you’re looking for something more than pre-fabricated doors, call us to discuss your vision of custom garage doors. Whether your garage door parts have been damaged or everyday use has just worn down your garage door, we are available and completely capable of fixing any of your garage door problems. At Doors By Nalley, our professionals will make sure the job is done correctly and efficiently, with as little headache as possible for the customer. We are experienced in garage door installation for industrial buildings, residential homes, and new construction. 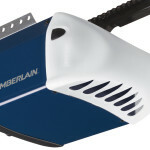 As a certified dealer for Chamberlain garage door openers, we offer the highest quality products. We carry both chain drive and belt drive options of these dependable garage door openers, and each has unique features that cater to many uses. If you want the best customer service and high quality work when it comes to garage door repairs, call us at Doors by Nalley today! We make sure you are always given the best garage door repairs and are satisfied with the result. Here at Doors by Nalley, Inc. we offer only the highest quality residential garage doors for our customers in Charlotte, Mooresville, Hickory, Statesville, Denver, Huntersville, Gastonia and Lake Norman, North Carolina!